Aidan finished 1st grade on Friday…why does that make me feel old? I’m not old…he’s still just a little boy…but 2nd grade sounds like a big kid grade, doesn’t it? With a desire for a good weekend for him and hell, just a good weekend for us all, I purposely kept us running the roads all weekend. Aidan got his very own library card! We had some water fun Saturday afternoon. 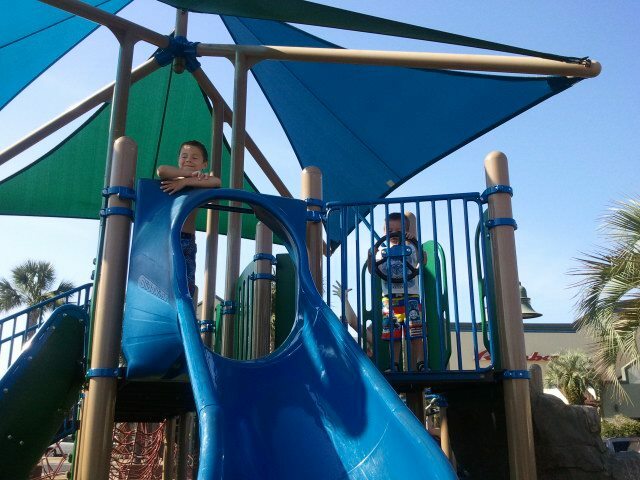 Aidan loved the splash pad…Sean loved the park. Today, we started out with errands and ended at the beach. Sean screamed for the first 30 minutes. And then something clicked in his head, and he realized he loved it! And we had frozen yogurt for dinner…yes, that’s what I said…I let two little boys eat crap for dinner. Special treats are supposed to be special, right? Mom #2 came with me for today’s adventure, thankfully. Aidan and Sean are my water babies, and I could never have kept up with them both by myself. For the first time EVER I really don’t want this weekend to end…even with the whining, the diarrhea (yes, it’s an ongoing thing), and few small tantrums, I had a great time this weekend! And from the looks on their faces for most of the weekend, so did the boys. 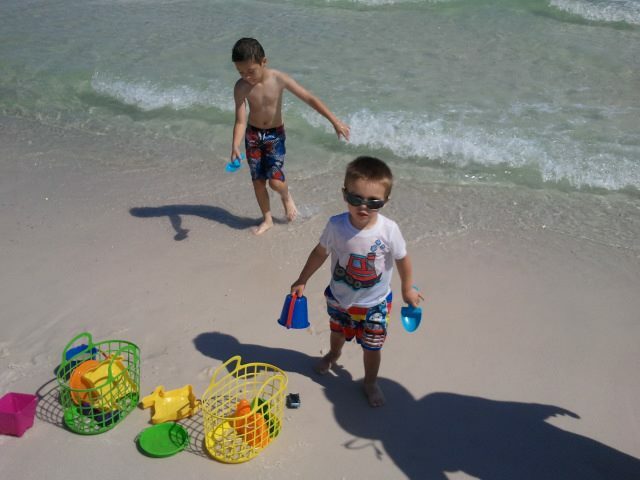 Posted on June 3, 2012, in Independent Michaela, Joy, Moments in Life, Raising Boys and tagged beach, Children, Divorce, Family, friends, fun, life, motherhood, Parenting, playing, raising boys, relaxing. Bookmark the permalink. Leave a comment.